The Voice for Insightful Leadership with Shelley Row, P.E. We were having dinner at a friend’s house and admiring his family memorabilia neatly arrayed in the bookshelves. There were the kid’s sailing trophies, family photos, delicate antique demitasse cups and a bright blue tube. A bright blue tube? “What’s that?” I asked. “Oh….it’s a kaleidoscope,” my friend replied. “Here, try it.” As I turned the tube, colors swirled and twirled. Each small movement altered the view and each view was as lovely as the other. Why can’t we bring a kaleidoscopic view of the world into our workplace and into our leadership? When it comes to new perspectives, your brain works against you. It’s easier on the brain to see the world, to see a person or to see a decision as you’ve always seen it. 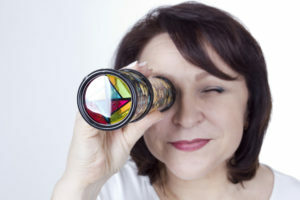 But, with a little effort, other views – just as relevant – become visible. It’s as though you slightly turn the kaleidoscope. Here are three areas where a kaleidoscopic world view is particularly valuable to your leadership and life. See personnel situations from several perspectives – A disgruntled employee complains to you about his co-worker who they “just can’t work with,” and the list of grievances starts. In that moment, their argument sounds reasonable and valid. But, when you ‘turn the kaleidoscope’, you can likely see opportunities for misunderstanding, miscommunication and differing opinions. There are at least two sides to every story. It’s best to, first, seek out other perspectives; second, help the employee see beyond their singular view, and perhaps facilitate a conversation that highlights varied views of the situation. See options for big decisions –When faced with a big decision, the brain prefers familiar solutions because, for the brain, the familiar is a short cut that feels effortless. However, big decisions benefit from a kaleidoscopic view. Here’s a technique that I discovered in a Harvard Business Review. As you debate a big decision and your team comes up with the expected approach, ask, “Let’s pretend that this option is not available to us. If not this approach, then what could we do?” This is a simple and effective way to force a shifted perspective. It’s as though you turn the kaleidoscope. Plus, you can use the same question repeatedly until you have a range of options upon which to base the decision. 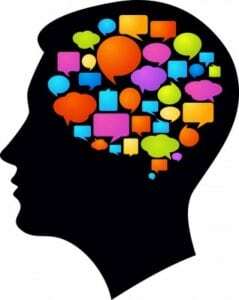 See that it’s not always personal – Whether it’s with family, friends or co-workers, situations inevitably arise where feelings get hurt or questions arise in your mind. An offhand comment makes you feel peeved and you think, “That was an insensitive remark.” Or, maybe you’re left out of a meeting and you wonder, “Did they leave me out on purpose? Is the boss trying to tell me something?” In those moments, turn the kaleidoscope to see another perspective. In my experience, these situations are almost always explained away when viewed from a different viewpoint. Before letting your mind run away with your first interpretation, shift your outlook to find a different interpretation – one that doesn’t have you at the center. Kaleidoscopes remind us that there’s always another way to see the world. Even a small rotation shifts the image, shifts the interpretation, and shifts the options. As an insightful leader, you must see a variety of views. And maybe you’ll discover that, like the kaleidoscope, each view is beautiful in its own way. 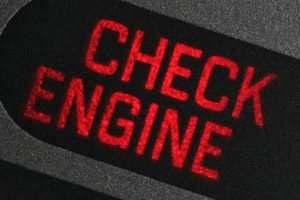 The Check Engine Light: Are You Looking Under Your Hood? You drive along admiring the fall colors when suddenly the check engine light comes on in your car. What does that mean? For most of us, the check engine light indicates that something is wrong inside the car. We best find out what it is. You have an internal check engine light. It’s the nagging feeling you get when something isn’t sitting right. Do you diagnose your nagging feeling just as you diagnose your car? You tape over it. At a recent keynote address, I asked the audience what they do when their car’s check engine light comes on. A woman on the front row said, “I tape over it!” When your check engine light comes on, do you tape over it, ignore or discount it? As with your car, ignoring it is unlikely to be a sound solution. The source of the nagging feeling is still there. Much in our culture reinforces the misguided notion that feelings lack validity or are not worthy of notice. We may be embarrassed by them or simply not have the skill to notice. The nagging feeling typically arises because the situation is incongruent with your brain’s expectation. Maybe the situation (or person) flies in the face of your value system. That always sets off the check engine light. Maybe the person has a communication or work style approach that radically differs from yours and it feels uncomfortable. Maybe your experience leads you to see the situation differently from your colleagues. Incongruence increases stress, causes you to over-react, make a poor decision or create an upset with a colleague. You can prevent those unhealthy outcomes if, like in your car, you notice it. Notice the check engine light. You notice the light in your car and you know that you need to do something … soon. Unfortunately, many of us power through the day without attending to the emotion that bubbles under the surface. We shove it aside. Give voice to the gut feeling. It’s like acknowledging the check engine light and the need to attend to your car. You need to attend to your inner wisdom. Understand the problem. The best action is to dive under the hood of the car (for real or with a mechanic) to find the source of the alert. Maybe it’s an indication of a big problem or maybe it’s an easy fix. It’s the same for you. The wisest of us notices the check engine light and dives under the hood to understand the nagging feeling. What is incongruent for you? Does their behavior fly in the face of your values? Does the decision you face challenge your assumptions? Does the person conduct their work differently from you? These are examples of incongruence in the brain. Your experience doesn’t square up with your expectations. When that happens, the check engine light goes off. It’s your job to understand why and decide if the reason is valid. Your car may break down if you ignore the check engine light. Your health, life and leadership depend on noticing and resolving the nagging feeling inside. What’s your check engine light telling you? You’re in a long security line at the airport. A LONG line. A frazzled, middle-aged, perspiring, blonde woman rushes up from behind. “Excuse me! My plane is leaving! May I cut in line?” In that moment, what do you think? Perhaps some of the more gracious of us think, “Oh…poor thing. I hope she catches her flight.” Others of us may think, “Really? Why is this my problem?” or “If she prepared better and planned ahead she wouldn’t be in this situation.” Honestly, I would probably be in the later camp. Except that this time, the woman was me. Two newsletter articles ago I wrote about the man who had a heart attack on the plane and probably died. I was so upset and flustered that I forgot I had a connecting flight. I realized it on the rental car shuttle in the wrong city. To have any chance at making my connection I had to get back through the long security line. I was forced to politely ask for a favor from strangers. Most were great. I only got a couple of exasperated looks. There was no time to explain the unusual circumstances (how often does a person have a massive heart attack on a plane?) that led to my predicament. I asked, said thank you, kept moving and ignored the looks. At one time or another, we all created a story from circumstances and slim information. And then believe the story! The boss slings edgy comments at you in the meeting and you think, “Oh no! She’s dissatisfied with my work!” When the real situation is that she’s exhausted after landing at 1am. Or a team member doesn’t get a deliverable in on time and you think, “NOW what are we going to do? He let us down.” But the real situation is that this team member was in the hospital emergency room all night with his kid’s asthma. The range of options is innumerable and we can’t image them all. Instead we create a story that usually includes us and believe it. Those stories are destructive and stress inducing. It only takes a bit of perspective to put the stories in their rightful place which is to eliminate them. Take in the situation. When disappointed or upset by a situation, take it in without judgment, and take a breath to slow down the mental storytelling that’s gearing up. Detach you from the situation. When you hear the story beginning in your mind, remind yourself that the situation is not likely about you and that there is more going on than you know. Reframe the situation. Remind yourself of the vast range of options that could be impacting this situation. Your assumptions are bound to be wrong and likely unfair. Open up to the possibilities. I made my flight that day but only because person after person graciously allowed me through. They will never know the story of that day. And we may never know the real stories behind each situation we encounter but we can take a broader and kinder view that allows for options beyond our imagination. Are you an Insightful Leader? Try this Quick Quiz! Who’s Here? What Do You Really Know About Someone Else? Join Other Satisfied Clients — Book Shelley Now! © 2019 Shelley Row, P.E. MBA All Rights Reserved. Legal Information. Sitemap.